This is a catch and release on two beautiful, virtually new, custom brushes with black synthetic knots. 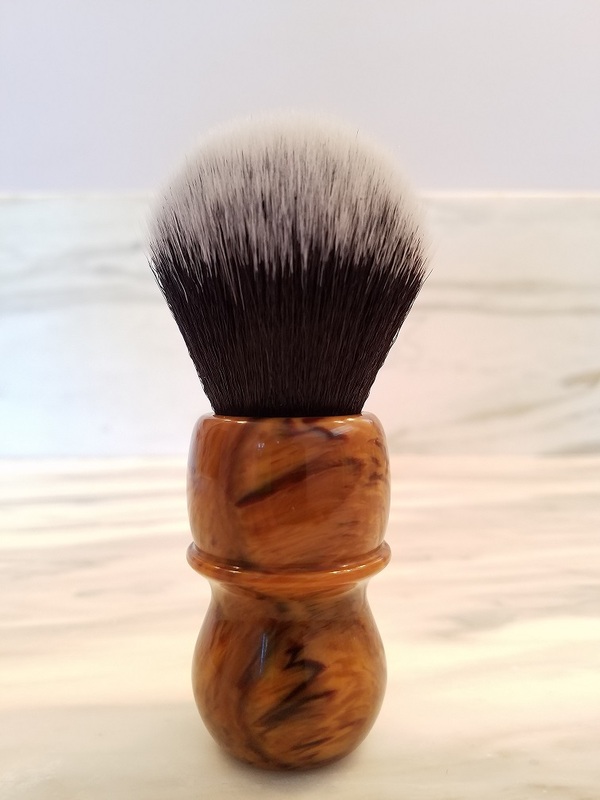 I recently had some custom brushes made by Doug Korn and Bob Quinn with Plisson type and black synthetic knots. After a few uses, I determined that the knots are comparable in feel and performance, but I just prefer the look of the Plisson type. I have a lot of brushes and more will be added, including the upcoming TSN/Semogue LE, and the boar collaboration between Thater and BullGoose. 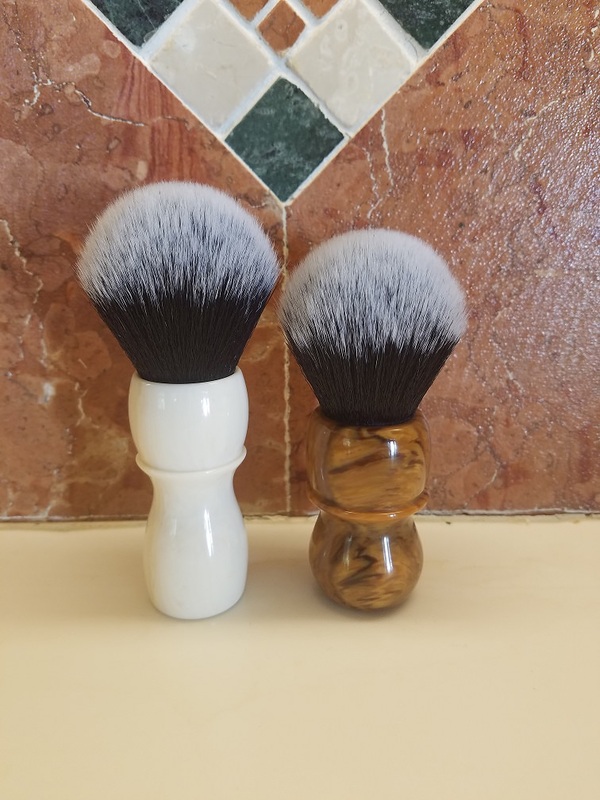 These two need to move out, despite being great brushes. I will definitely be acquiring more brushes from these two superb artisans here on TSN. Both brushes are lightly used and have no issues. Both knots are 26mm, and I asked that they be set to a 55mm loft, which I consider optimal for these knots. PayPal and no trades please. 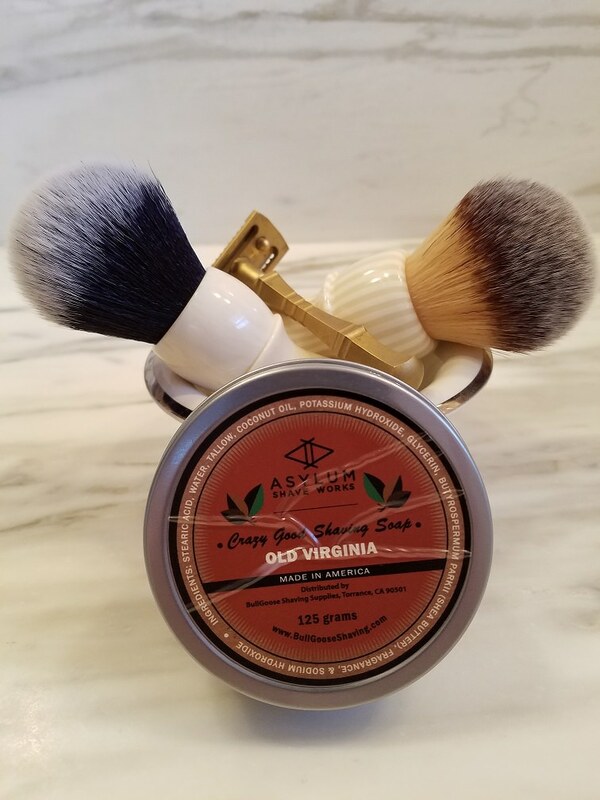 On the left is a Doug Korn barbershop style handle in grain ivory. This ivory has a beautiful grain, which you cannot see well in the pictures. 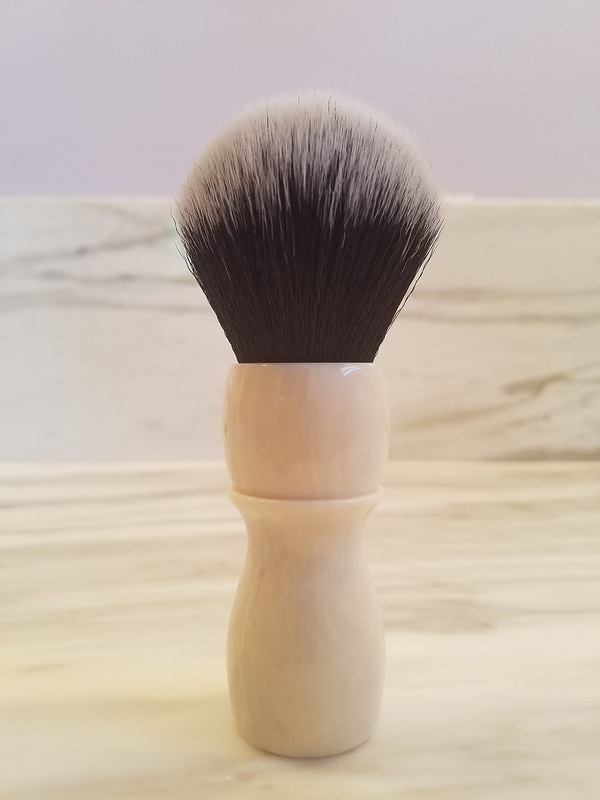 Retail cost for this brush was $103.95. 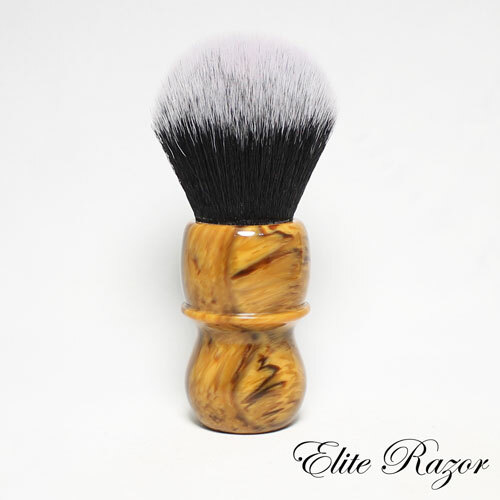 Brushes are priced at $45.00 each, including CONUS shipping. Shame. 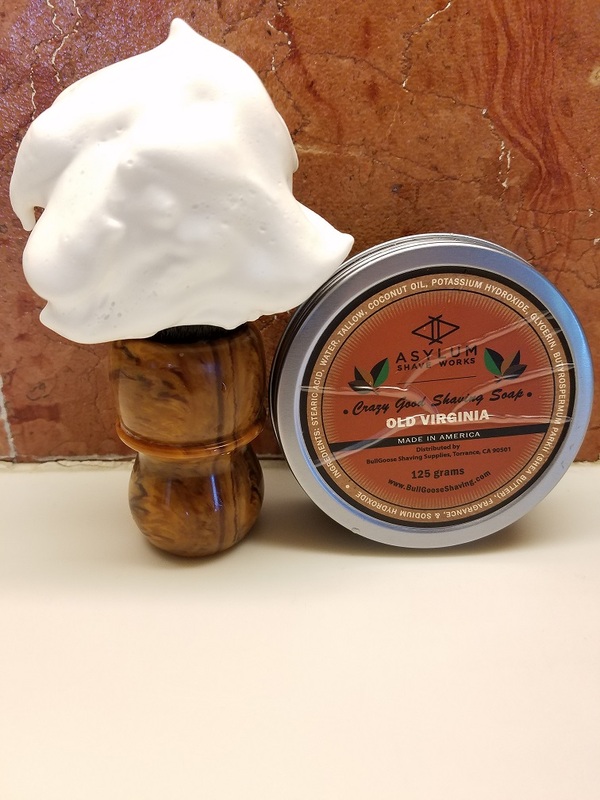 That faux briar goes nicely with your wall tile. GLWTS.